Warren’s central location in Metropolitan Detroit puts the region’s treasures within reach. With convenient access to I-696 and I-75, Warren is 30 minutes or less from everything Southeast Michigan has to offer. Warren is the largest city in Macomb County, the third largest city in Michigan, and Metro Detroit’s largest suburb. The city is home to a wide variety of businesses, including General Motors Technical Center, the United States Army Detroit Arsenal, home of the United States Army TACOM Life Cycle Management Command and the Tank Automotive Research, Development and Engineering Center (TARDEC), the headquarters of Big Boy Restaurants International and Asset Acceptance. Warren is divided into four neighborhoods. Southeast Warren consists of the Belangers Garden, Berkshire Manor, Piper Van Dyke, Warrendale, and the southern portion of Warren Woods. Southwest Warren consists of the Beierman Farms and Fitzgerald neighborhoods. Northeast Warren consists of the Bear Creek, Bella Vista Estates, Downtown, Fairlane Estates, Lorraine, Northampton Square, the northern portion of Warren Woods, and the eastern portion of Warren Con neighborhoods. Northwest Warren consists of the western portion of the Warren Con neighborhood. Within these neighborhoods are plenty of things to do in Warren including visiting the Edsel and Eleanor Ford house, the Red Oaks Waterpark and Nature Center, and the Arctic Ring of Life. Howl2GO by Howl at the Moon is the premier name in Dueling Piano entertainment. Bring our incredible performance to your event in Warren at any venue. 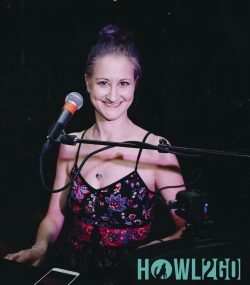 When you bring Howl2GO to Warren, you can be certain you’re getting the true Howl at the Moon experience, and with that comes the assurance you are booking only the best dueling piano performers in the country. Our fun, energetic performers are perfect for all events anywhere in the Warren area. Howl2GO provides all the production you need to make your event look and sound amazing. We have top of the range PA sound systems and custom built lighting shows that you will not see anywhere else. Our competition simply does not begin to come close to our production! We also supply our custom built electric baby grand pianos that can be transported into any size or shape venue in the Warren area. Regardless of how many guests you’re expecting, from 20 to 2000, we have you covered! We specialize in all types of events, anywhere in the Warren area – company parties, wedding receptions, charity fundraisers or house parties are all made more fun by bringing Howl2GO by Howl at the Moon. We tailor every single show to you and your guests, playing music for all ages. Fundraising for churches, schools or your chosen cause is perfect for our show – plus advertising that you have Howl at the Moon performing is a huge draw in the Warren community. Dueling Pianos in Warren is all we do! Howl2GO has a dedicated team of professionals on staff. From our sales manager who will help build out your vision, our production team who will communicate with your venue in Warren, a wedding specialist and, of course, our world-class entertainers, picked specifically for your event. We only bring Howl at the Moon trained musicians, all of whom have experience playing at one of our locations nationwide. We are a perfect choice for your wedding – we keep numerous couples in Warren and their guests dancing all night, as well as taking care of all your ceremony, announcements and special family dance needs. Don’t risk booking a local fly-by-night company that may not even still be in business when your wedding date comes around, nor one that hires freelance players. Howl at the Moon has been rocking since 1990 and our reputation precedes us.